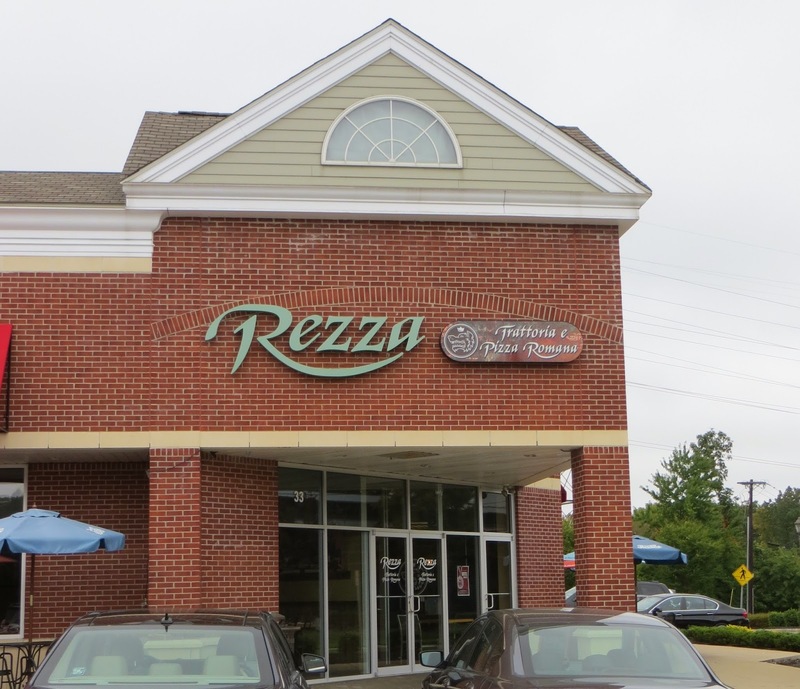 We stopped in at Rezza a few Thursdays ago just to check it out. We were curious to see how it differed from the restaurant previously in that spot. We were immediately delighted to see the improvements in decor. The place is simple but comfortable. Stone tile floors, brick walls, and wood table tops give an authentic Italian feel. We hadn’t gone prepared to do a review that night, but very much enjoyed our dinners and decided we would soon return. We returned the following Thursday and again enjoyed our visit. Bread was quickly brought out and it’s delicious, sliced about half an inch thick, a sour dough flavor, and a chewy crust that doesn’t rip your mouth to shreds. Along with the bread, we were given a plate of olive oil that was seasoned with sea salt, a really tasty counter to the sour dough of the bread. Butter is available for those who prefer it. Rezza’s bread is delivered to the restaurant daily. Chef/owner John Bendokas is a graduate of the Culinary Institute of America and prides himself on the restaurant’s use of fresh ingredients. This pride is also reflected in the attractive way dishes are served. We were tempted by the unusual assortment of antipasti choices but instead ordered the homemade Pasta e Fagiole which was served in an attractive white bowl. The soup had lots of beans and pasta and a tasty tomato base. We also had a Mixed Greens salad which looked like a simple plateful of lettuce but was surprisingly delicious. The red wine vinaigrette dressing was one of the best we’ve enjoyed anywhere, just the right amount of vinegar and perfectly seasoned. For entrees one of us ordered the Veal Parm which was served with a side of spaghetti. We liked that the plate wasn’t overloaded. The portion was just the right size. The marinara sauce was light and flavorful. The other one of us ordered the Roasted Chicken Salmoriglio. That was just wonderful. The skin was beautifully crispy and seasoned with oregano and lemon. The meat was thoroughly done, moist, and tasty. This dish was served with fingerling potatoes and strips of roasted red peppers. Highly recommended! For dessert we both ordered the Salted Caramel Gelato which was the best we’ve ever had. 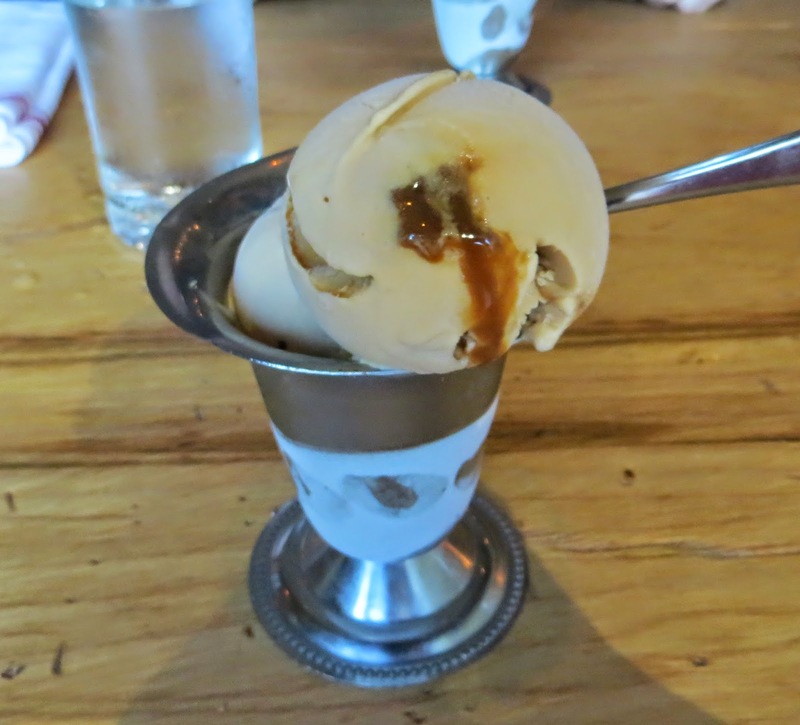 We loved the generous dollops of caramel that laced the gelato. The gelato is offered in many flavors, all listed on a large blackboard. We look forward to trying some of the others on future visits, though one of us might be tempted by the homemade cheesecake or the creme brule. One of us returned on Saturday with another one of our team members. We both had sandwiches, one a Chicken Parm and the other the best-ever Roasted Turkey sandwich which included sliced avocado. We both agreed that the delicious rolls made the sandwiches extra good. Neither of us could recall a better sandwich roll we'd had anywhere else. Service is given in a timely but leisurely manner. You won't feel rushed and you won't be sitting around twiddling your thumbs. We’re looking forward to soon trying the pizza which we saw the people at the table next to us enjoying. We also stopped back on Sunday to try the brunch and were again very happy with our choices—fresh blueberry pancakes with real maple syrup, a bowl of soup, and a fresh fruit salad. The fruit salad included two kinds of melon, blueberries, strawberries, and pineapple and was laced with some sprigs of mint. The first Thursday we went to Rezza we saw a large group there for a rehearsal dinner, so the restaurant nicely accommodates special functions and larger groups. We found the pricing reasonable and the choices ample.